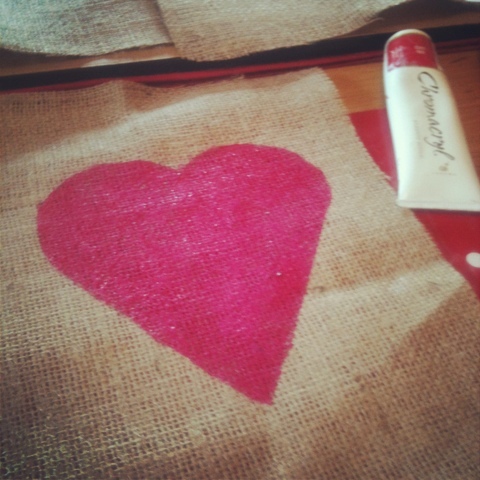 This is one of my favourite craft projects of this summer (which seems ages ago now!) - as usual it's cheap to make and very effective! 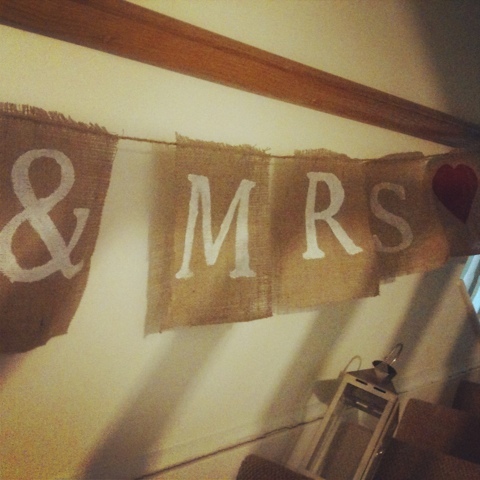 I've seen loads of burlap (a rustic material) bunting in pictures of Tipi weddings, like we're having. 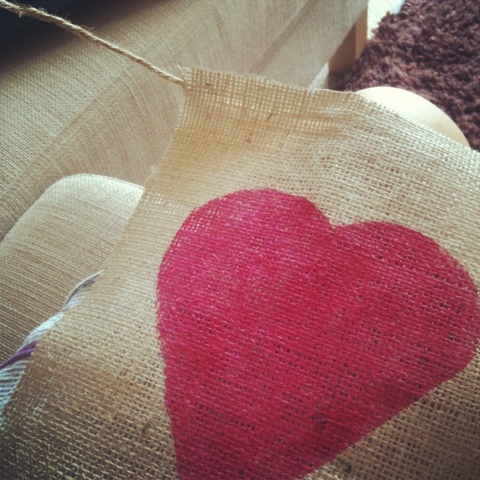 I fancied having a go at making my own, I started looking for burlap material. 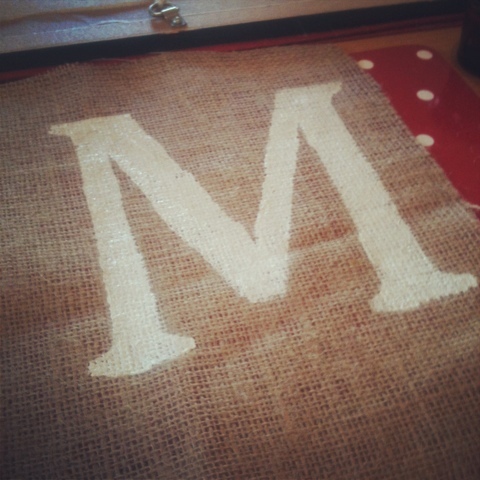 I found a bargain on eBay - click here - 1.82mx1m burlap material for £3.39! (I paid £2.39 but it seems they've increased the price since I bought it a month ago - still a huge bargain for the amount you get). 1) Put your printed letters (you can make this bunting to say anything, depending on your occasion) on a surface that you can use a craft knife on. 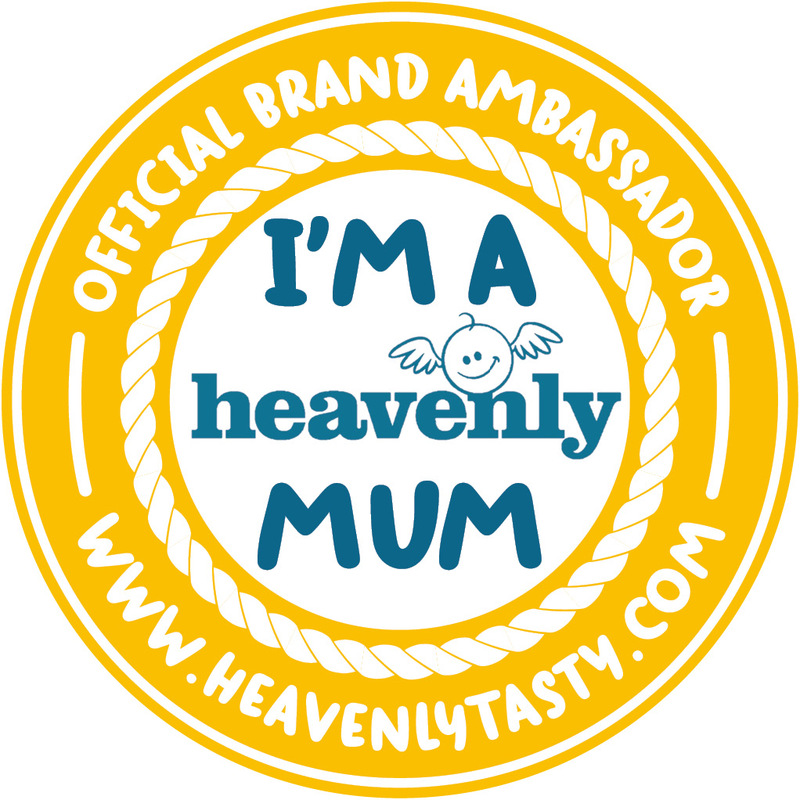 I used the back of a photo frame I bought from a carboot sale but don't like at all! 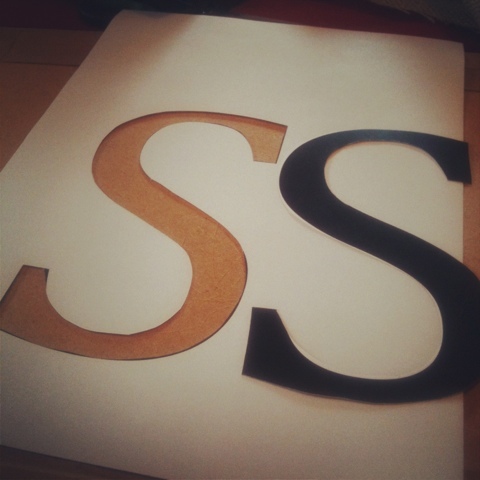 Carefully (you need a very steady hand) cut around the outside of each letter. 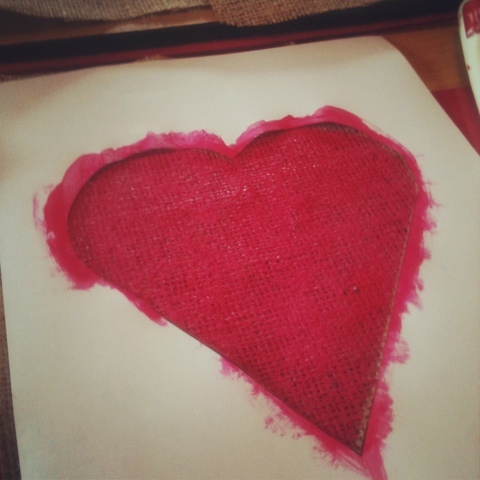 This creates a stencil for you to paint with. 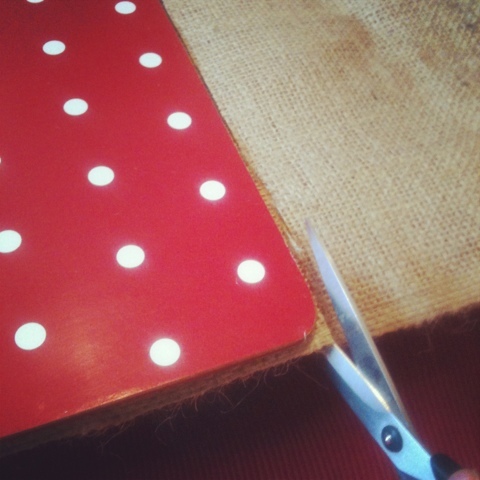 2) Next, cut out the burlap to the size you'd like each bunting triangle/square/rectangle to be. I decided to make mine rectangle, I used a place mat as a template. 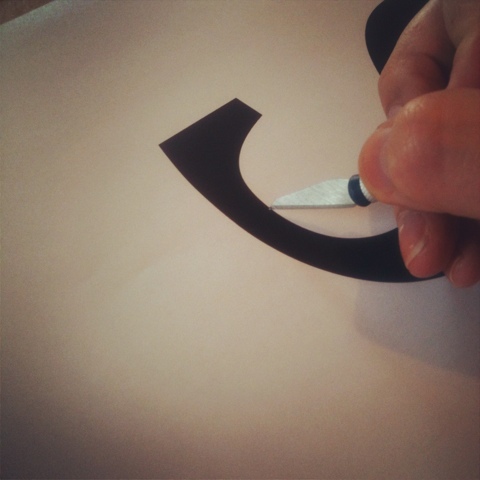 You have to make sure that your printed letters fit in the bunting your cutting out! 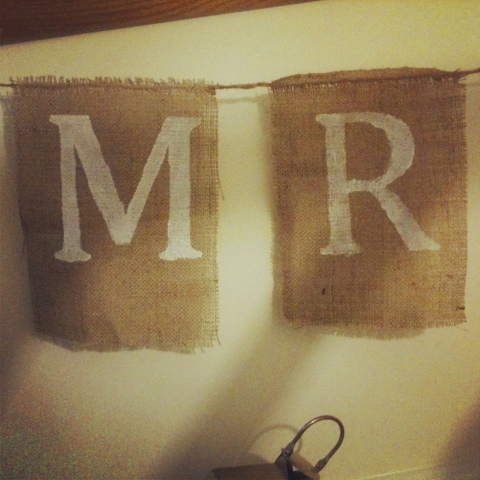 The nature of the material means it will fray but that's also part of the look of this bunting. 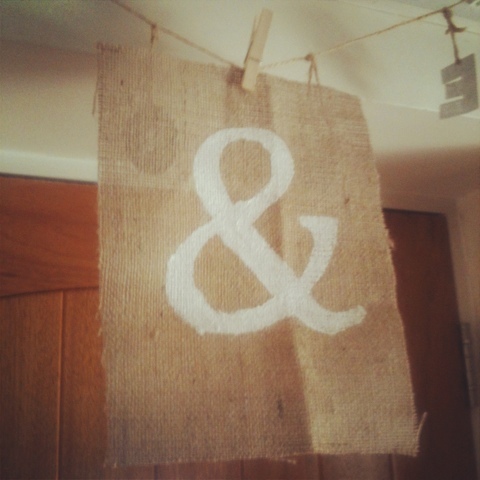 3) Place one burlap bunting on a surface that's ok to paint on, put the letter stencil on top and using acrylic paint, paint on the letter. You could paper clip the letter in place, but I just held it. Then repeat for all of the other letters/shapes. 4) To let them dry I pegged them to some string, which was perfect for letting the paint dry on both sides. 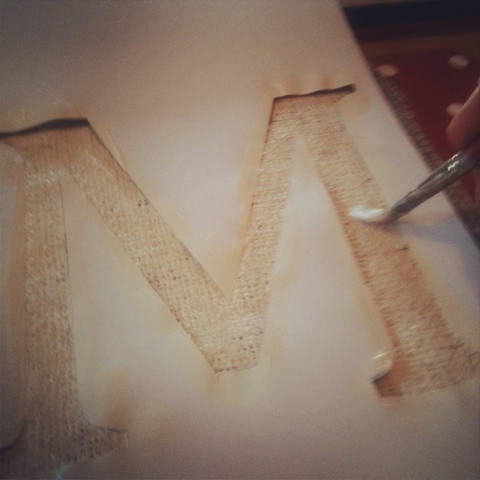 5) Finally, to connect each letter together I used some white cotton thread and sewed some twine the letters. I kept a 5cm gap between letters within a word and 9cm gap between new words. Sorry about the strange angle of these photos, it's currently hanging on our stairs as it was the only space big enough! Will you have a go at this rustic bunting? Oh! I love this, so rustic and different to shabby chic! Will definitely try it.